Get together and get more value at the award-winning Clarion Hotel and Conference Center in Toms River, NJ. 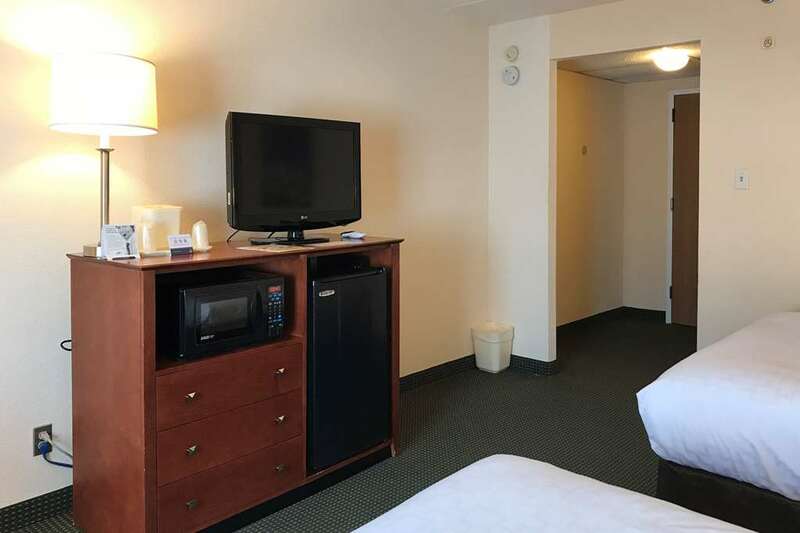 A recipient of the Choice Gold Hospitality Award, this 100 percent smoke-free hotel gives you easy access to such points of interest as Pine Belt Arena, Island Beach State Park, Joint Base McGuire-Dix-Lakehurst and Jersey Shore beaches. Life is better when you get together, and you can enjoy such amenities as free WiFi, free parking, meeting space, business and fitness centers, outdoor pool and restaurant. Your guest room features a refrigerator, microwave, coffee maker, hair dryer, iron and ironing board. Also, earn rewards including free nights and gift cards with our Choice Privileges Rewards program.